USS Carney will join three other Arleigh Burke-class guided missile destroyers already in Spain. 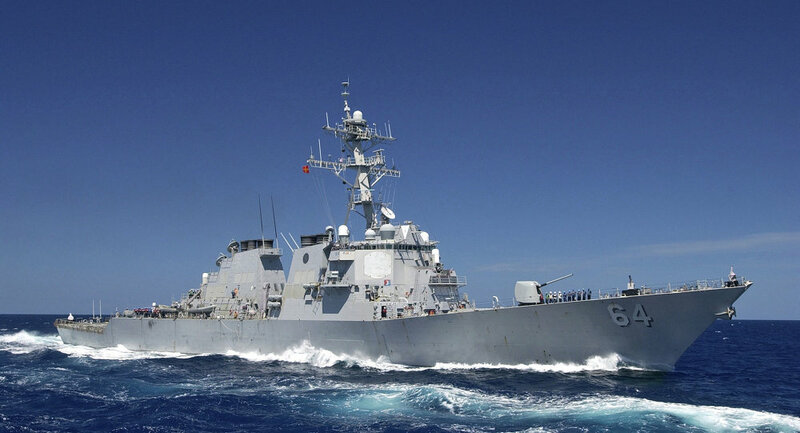 WASHINGTON (Sputnik) — The US guided-missile destroyer USS Carney departed from Florida over the weekend and headed to Spain to aide in NATO’s ballistic missile campaign in Europe, the US Navy announced in a statement on Tuesday. "USS Carney and her crew will play a crucial role in the US contribution to NATO's ballistic missile defense efforts," US 6th Fleet Commander Vice Admiral James Foggo III said. "Our forward deployed naval forces (FDNF) based in Rota provide a credible capability and support NATO's broader commitment to regional security." USS Carney will join three other Arleigh Burke-class guided missile destroyers already in Spain, the Navy noted. While in Europe, the ships will contribute to a "myriad of tasks" including "the full spectrum" of maritime security operations, bi-lateral and multi-lateral training exercises as well as other NATO operations and deployments. In recent weeks, the United States has been closely engaged in multinational naval drills in the region, including with Ukraine. in an effort to assure NATO allies they can quickly respond to the perceived threat of what they term Russian aggression. Meanwhile, NATO has increased its military presence in Eastern Europe and the Black Sea since the outbreak of the conflict in southeastern Ukraine in April 2014. Russia has warned that NATO’s build up and expansion close to its borders is a provocative move and a threat to regional security.